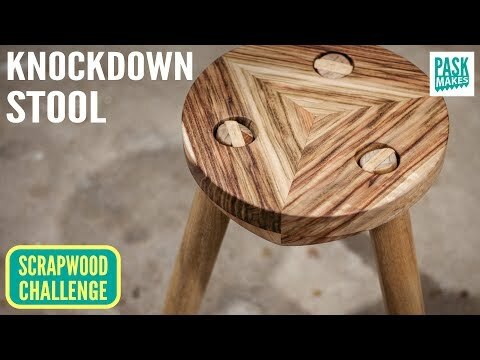 I played around with the idea of this joint a while ago (I shared it with my Patreons) but because the first scrapwood challenge video was a stool I didn't want to repeat myself too soon! I was going to glue a little stopper in the mortice so the the tenon stops in the correct position but I ran out of time. It's not really needed but would finish it off!